This fall we lost a precious friend, colleague and fellow traveler on God’s journey to finding our place in God’s story. Shannon Brasher served as our director of social media, making valuable contributions every day to the ministry’s growth. Her path prior to joining Alliance was an arduous and painful journey through personal brokenness and addiction. It was also a life of tremendous courage and beautiful redemption as she overcame these obstacles through her Savior Jesus. After just one year working at Alliance and The 2:10 Project, Shannon’s life here on earth tragically ended in a car accident, leaving those of us at Alliance Ministries, as well as her famiily and the community who knew, her devastated by the loss. In the coming weeks, we are going to share Shannon’s story, a beautiful picture of God’s redemption and restoration. Over the next six months, we are publishing a book, one that she started writing in her own words months before her passing, but regretfully didn’t have the chance to finish. We’ll be doing that for her, and our goal is to dedicate all the proceeds from the book to her two young sons. For now, here is a picture of this beautiful person we came to know as friend and family and colaborer. 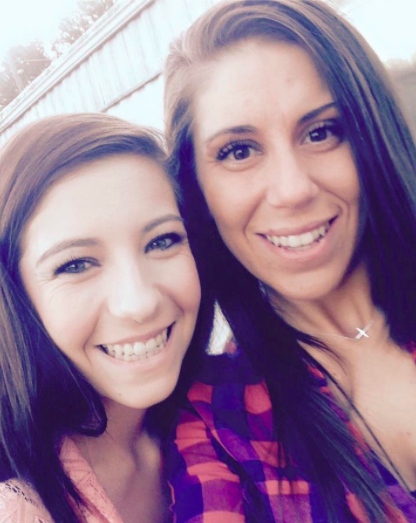 Here is Shannon (pictured on the right) with her sister Carrie Jo, 2016.